Every business performs various operational activities and by this operational activities, there arise different types of transactions in the business. As per accounting standards and double entry system rules, different transactions have different treatment in the books of accounts. There are various books of accounts in which journal and ledger are the most important for every business. This article concentrates on communicating the difference between Journal and Ledger books. The word ‘Journal’ is derived from the French word ‘Jour’ which means a ‘Day’. from this we can say, journal means a daily record. Every business records transaction is recorded in a sequential way in the journal. It is also called as a primary record book because transactions are first recorded in the journal. The process of recording transactions in the journal is called as journalizing. 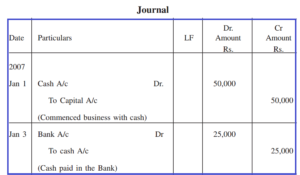 In journal book, every transaction has two entries i.e. one debit entry and one credit entry, in the journal, both the aspects of the transaction is recorded. Every Jorecordedas date wise, This helps for quick and easy reference of any transaction. In the journal, every entry has a short narration which explains the nature of the transaction. The debit and credit aspects of the transaction are recorded side by side, This reduces the possibility of errors because we can compare both credit and debit side are equal or not. There is a predetermined proforma for a journal, It consists of 5 columns in which each column serves a different purpose, they are as follows. The ‘Ledger’ is derived from the word ‘Ledger’ which is a dutch word, which means to ‘Lie’. Ledger can be easily explained by saying that it is a summary of similar transactions or similar records at one place. It is also called as a book of secondary entries because the transactions in the ledger are recorded after completion of the journal entries. separate ledger account for every item or person. Ledger helps in preparation of trial balance, final accounts. The process of recording the transactions from journal into ledger is called as ‘Posting’. Ledger facilitates in maintenance of the permanent record of all the transactions of the business. The Ledger account is divided into 2 parts in which the debit aspects are recorded on the left-hand side and the credit aspects are recorded on the right-hand side. In Journal, transactions are recorded in a sequential order and is a book of daily records. In ledger, all the transactions relating to the similar transactions are recorded at one place. Journal is known as a 'primary record book' or 'book of original entry'. Ledger is known as a 'secondary record book' or ' book of final entry'. The process of recording of transactions in the journal is called as 'Journalising'. The process of recording the transactions of the journal into ledger is called as 'Ledger Posting'. A short narration should be written for every entry in the journal. There is no concept of narration for entry in the ledger. The balancing of the transactions recorded in the journal is not needed at the end of the account. The balancing of the transactions recorded in the general ledger is done at the end of the account. In case of disputes, Journal is treated as the main evidence in the court of law. Ledger cannot be treated as the main evidence in case of disputes or legal matters. Journal book is only a subsidiary book and doesn't help in preparing of final accounts. Ledger book is a principal book and helps in preparation of trial balance and final accounts. 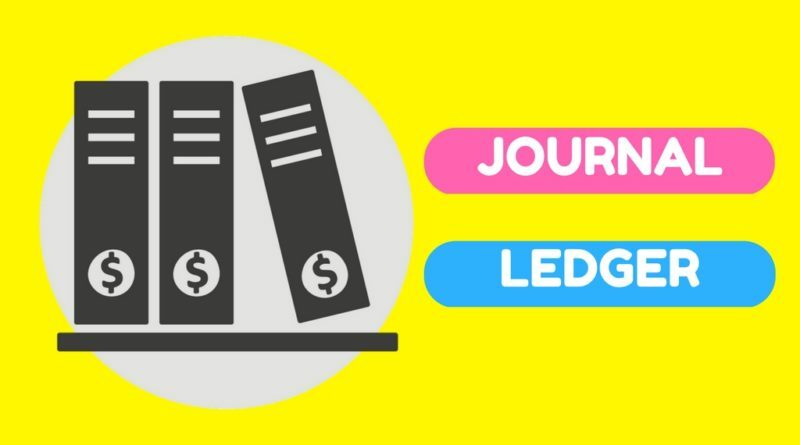 From the above discussion, it is evident that there are many differences between journal and ledger. There are various rules and procedures for entering the transactions into the journal and ledger accounts and the person responsible for journal entries and ledger posting should be very careful in his job because, if he omits or misrepresents some transactions, there would be no fair view of the accounts of the business.